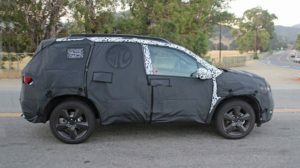 2017 Honda CR-V: What’s Behind Scrimpy Words? 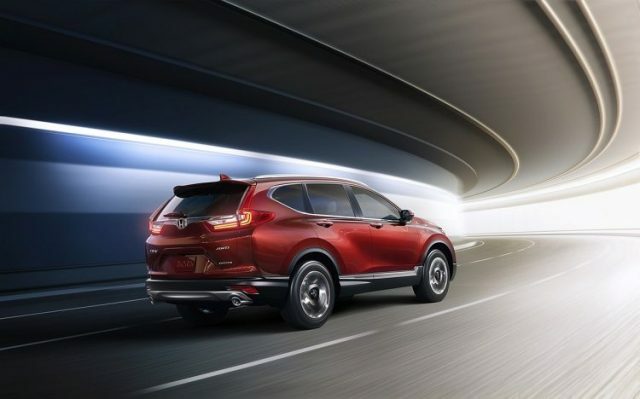 “The new CR-V styling heads in a fresh new direction with an aggressive attitude, thanks to crisp and sharp front-end design elements, aggressive stylized headlights surrounded by a wing-shaped LED DRL array on all trims, and wide, muscular fenders. 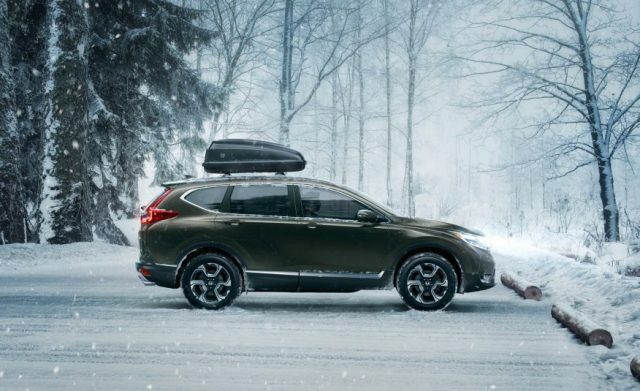 The long hood, longer wheelbase, short rear overhang and dual exhausts give the new CR-V a more sophisticated and athletic presence. At the premiere, Jeff Conrad, Honda Senior Vice President, was trying to put us in the picture of the 2017MY development. 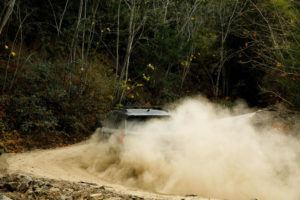 He said they weren’t only using the crossover’s close rivals as a benchmark, but they went the extra mile, so they have used the BMW X3 along with some other luxury models as a benchmark for “ride quality, steering, body control and NVH”. They were trying to create a vehicle that will certainly be dominant in its market niche. Is that bad? Not at all. But, this is just a depiction of how they were looking at this project. And it’s obvious where their priorities lie. They did their homework and they have analyzed every single aspect of the market, which led to assembling a really desireable vehicle and here it is. Voila! 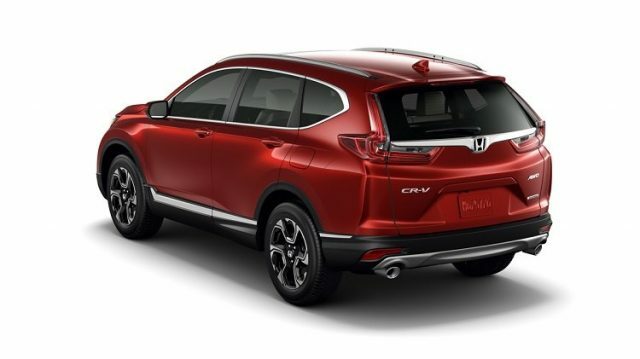 Probably, the 2017 Honda CR-V will be a bestseller. There’s no reason not to. The next-gen CR-V is coming with wider stance and longer wheelbase. Those fundamental changes make the crossover’s appearance more robust and intimidating. However, the new CR-V probably won’t be your first choice if you’re an outlaw who has to flee from the powerful grasp of justice. 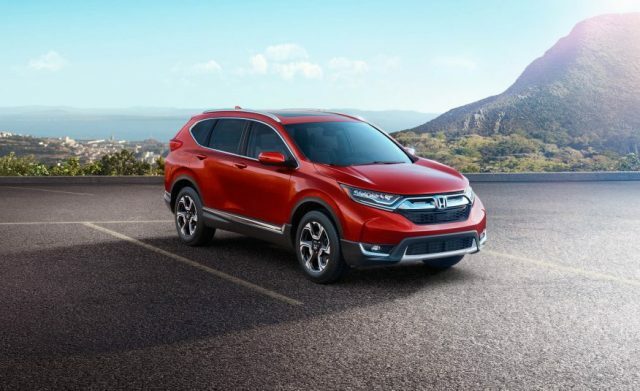 The new exterior features were made to make the next generation more attractive, sexier and more assertive, but the distinct Honda CR-V design language is still present in large quantities. That’s why the new generation looks like an afterthought the designer of the previous model had. Of course, only a complete ignorant or a helpless dreamer would think that every new generation has to be designed from scratch. Inheriting a well-established and recognizable design is a rule of thumb in the industry and it’s benefical for the automakers, the buyers and for the automotive design in general. It’s only a matter of taste how the old and the new features blend together. We must say, despite the cold calculated approach to the entire enterprise, the automaker actually succeeded in creating a pretty impressive redesign. In stuff like design, where imagination and emotions play a significant role, analytical approach might not be the best one. You can end up with a pretty handsome vehicle, it can be success, the investors would be happy, but nothing else. Yes, this implies there’s more to this business. Is there more? Back in the sixties, the Lamborghini Miura started its journey on the roads. Arguably the most beautiful car ever wasn’t just a mere blueprint for all the supercars. Its engine position was a revolution, and without it, we probably wouldn’t be able to enjoy the Mclaren P1, Pagani Huayra or Bugatty Veyron today. The mid-engine layout is a great accomplishment, but the Miura’s appearance is what amazes the most. It’s still dream like the way it was when its wheels touched the Italian tarmac for the first time. Of course, it doesn’t have the same stunning effect the way it did in the sixties, when it looked like a visitor from the distant future, but its curves and general shape are equally appealing half a century later, just like Sinatra whose tunes we like to whistle and who was one of the proud owners of the Miura. The car had many flaws. After all, it was just a bold concept that made it to the production stage, but that’s not the point. We, the humans, are not just rational beings. If that was the case, it would be so easy. We would choose the most efficient and the most convenient way of transport. Your neighbor just bought a new Carrera? Better call 911, the man is sick. But, in this purely rational world there would be no one who would even consider building a Carrera in the first place. 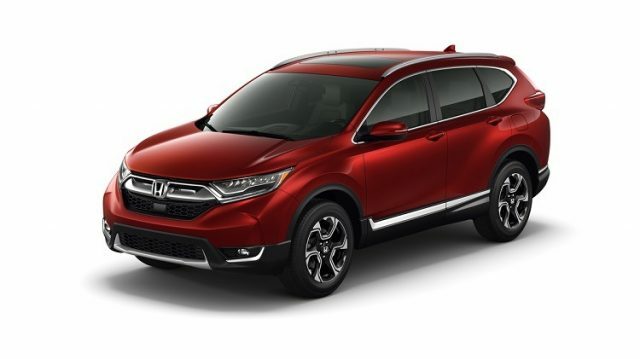 So, the 2017 Honda CR-V is really a good looking crossover. Proud of its heritage and the tradition of being a reliable and beloved crossover to the millions of Americans, the new generation shows off its DNA, but its new design clearly states that it is also a superb piece of automotive engineering at that price. Its design innovations are really good. I admit, at first I thought it looks like the fourth-gen’s rich cousin with its mandible unfortunately dislocated, but after a careful consideration it all clicked. All the new design elements are just where they should be. The overall appearance is contemporary, sleek and fashionable, especially the rear end which won’t get outdated any time soon. It’s bigger, it’s muscular enough and a bit fancy. It looks capable and smart at the same time. It oozes confidence, not the kind of smug confidence some other crossovers have, but a cultivated, sophisticated kind. If you want a useful, good looking and efficient crossover, manufactured in the U.S., this is the one and you should order one without hesitation. On the other hand, the same automaker manufactures the Acura NSX. They’ve been trying for years to introduce the Acura brand to the country club of the automotive industry where all the premium brands gather on Sunday brunches for a round of gossiping and golf. The NSX is a state-of-the-art vehicle, it is a remarkable flagship, but they should’ve probably considered inverting this hierarchy by offering their impressive R&D resources to the lower-class models. It’s really great they took a leaf out of the BMW’s book, but such a huge renowned automaker, which manufactures distinctive vehicles in every single segment, probably shouldn’t jump on the bandwagon when they’re developing one of the most important vehicles in the most rapidly emerging niche. Imagine they have crafted the 2017 CR-V the way they could, instead of following the template the market set. They would probably lose a certain number of potential buyers with this generation, but the reward in the long run would be immense.